Welcome to the Grant Area District Library. Since 1927 the Library in Grant has provided the community with services to meet their needs. With technology that continues to change, the staff of the Grant Area District Library strives to provide that same friendly home town library service through our new website. Access your account, find out what programs are coming up for children, new and forthcoming titles, get answers to your reference questions, explore links to authoritative sites, discover a wealth of information by using Mel Databases, download audio and e-books all from the comfort of your home. I would like to take this opportunity to thank all of our patrons and community partners for their generous support. Please contact the library to let us know how we can also support you. NoveList Plus is a comprehensive database of fiction and nonfiction titles for all ages and includes recommendations, articles, and lists for your fiction and nonfiction needs. Mango Languages offers over 60 languages to learn -- all for free with your library card! 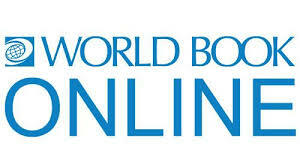 World Book Online helps information seekers of all ages find the content they need at the correct reading level. World Book Online resources are available anytime, anywhere. Tell us why the Grant Area District Library is important to you and your family! We'll share your thoughts with other patrons of Grant Area District Library. GADL has book group kits with at least 10 books and review questions. A complete list is a available by clicking here.